Get ready for a scary sequel! 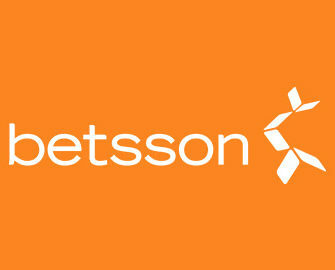 Awesome news for all vampire fans coming from Betsson HQ. 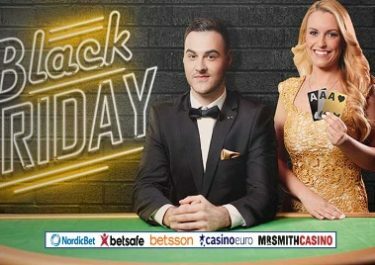 Netent will release the sequel to the hair raising Blood Suckers slot exclusively to the Betsson Group. A new generation of vampires has arrived and she’s thirsty for her family’s treasure. Blood Suckers II is almost here with fang-tastic features, wilds, blood roses and a dark, captivating tale of revenge. Get your hands on some gory free spins up to €1 each before Betsson’s exclusive game launch on 2nd March 2017 and be one of the first to sink your fangs into its gruesome rewards. Exclusive for our readers from Austria, Brazil, Finland, Germany, Iceland, Netherlands, Norway, Peru, Poland, Sweden and Switzerland. OPT-IN during the promotional period and wager on any casino games to qualify for Free Spins when the new slot is released on 2nd March 2017. The Free Spins will be credited on 2nd March 2017, by 18:00 CET. Only one set of spins per player based on the wagered amount. Winnings from the Free Spins are added as bonus with a 35x wagering requirement within 7 days. Bonus terms and conditions apply. Launched in 2001, the casino is operated by the acclaimed BML Group Ltd. under MGA Malta and UK Gambling Commission licenses. Betsson offers Sportsbook, Poker, Bingo, Scratch Cards, Games, Casino and Live Casino on desktop, mobile and tablet with games from acclaimed suppliers such as Netent, Big Time Gaming, ELK Studios, Jadestone, Microgaming, Nyx Interactive, ONgame, Play’n GO, Quickspin, Realistic Games, Red Tiger, Thunderkick, Williams Interactive, Yggdrasil as well as Evolution Gaming and NetEnt Live for their Live Casino tables. The website is available in Czech, Danish, Dutch, English, Finnish, French, Icelandic, Italian, German, Greek, Norwegian, Peruvian, Polish, Portuguese, Serbian, Spanish, Swedish, Turkish and customer support provided 24/7 vial Email, Live Chat and Phone. Happy Spinning but beware of the thirsty vampires!